Trains run subject to passenger demand. Tickets can be purchased in advance online or by calling +44(0)1286 870 223 between 1pm-4pm daily. Tickets on the day of travel are only available from the Ticket Office at Llanberis Station subject to availability. Single tickets down the mountain cannot be pre-booked and are only available on a standby first come, first serve basis from the destination station of the day (summit or Clogwyn). At busy times all of our tickets can be sold out so it is always better to pre–book before travelling to the station to avoid disappointment. The telephone booking line opens at 1pm daily. Please note advance bookings cannot be made on the day of travel. All advance bookings by telephone or via our website are subject to a £3.50 administration charge per booking (not per ticket). Children under 16 MUST be accompanied by a parent or guardian whilst travelling on the railway. We recommend customers arrive 30 minutes prior to travel to collect pre-booked tickets and enjoy the free Film Theatre production. Tickets are non-transferable and non-refundable so if possible please check the weather forecast before making a booking. Please note: only registered support dogs are allowed on our trains. Book for our 9.00am departure and receive a great discount! Tickets are sold subject to availability and must be pre-booked in advance. The Early Bird departure will be on the Traditional Diesel Service. This is a return service only, no single tickets are available. Children aged 2 or under may travel free of charge (1 Child per fare paying adult) providing they sit on an accompanying adults lap and do not occupy a seat. For group bookings of 25 people see our information for Group Operators. Diesel departures leave Llanberis every day (weather permitting) from mid-March until the last weekend in October every 30 minutes from 9am, subject to passenger demand. During the early season (March and April) the usual destination is Clogwyn which is the 3/4 point on the mountain. The journey time to Clogwyn is approximately 45 minutes and passengers have a 30 minute stop-over at this unsheltered station. Please be aware that there are no facilities at Clogwyn, or on-board the trains. From May onwards our usual destination is Hafod Eryri Visitor Centre at the Summit of Snowdon. 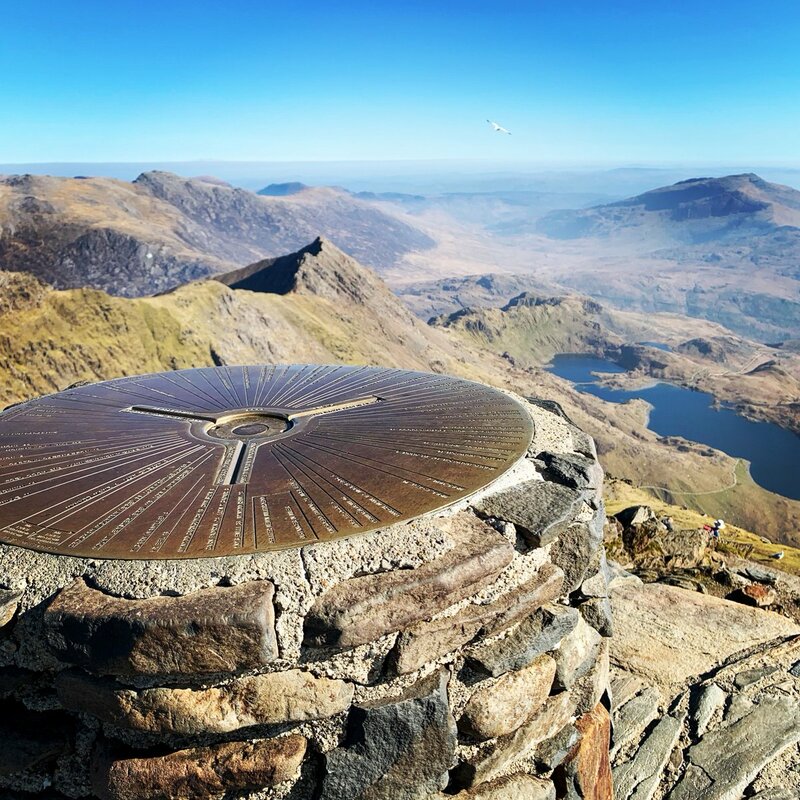 The return journey to the summit of the highest Mountain in Wales and England takes approximately two and a half hours, which includes a 30 minute stop-over before returning to Llanberis. Pre-booked tickets are available for collection from our Llanberis Ticket Office 30 minutes before departure. We do not post out pre-booked tickets. Why not arrive a little earlier and enjoy our Victorian shopping experience, spend some time in our Film Theatre, or enjoy a bite to eat in our Station Buffet or Platform Grill before you board your train? All available tickets for purchase on-the-day are sold daily from 8.30am in our ticket office in Llanberis. We do not accept telephone or online bookings on the day of travel. At peak holiday periods, particularly in good weather, all of our trains can be sold out. Advance booking is recommended. Children aged 2 or under may travel free of charge (1 child per fare paying adult) providing they sit on an accompanying adult’s lap and do not occupy a seat. For group bookings of 25 people or more see our information for groups below. Book for our 9am departure and receive a great discount! Tickets are sold subject to availability and must be pre-booked in advance. The Early Bird departure is always a Traditional Diesel Service. This is a return service only, no single tickets are available. Our diesel carriages are wheelchair friendly and accessible however wheelchair users and passengers with mobility issues are asked to call us to discuss their requirements before making a booking on +44(0)1286 870223. Further information and the site access statement are available here. See our FAQ’s for more information. Snowdon Mountain Railway is the “must do” attraction of North Wales. Our extensive publicity over recent years means that even more visitors to North Wales see a visit to Snowdon Mountain Railway as a ‘must do’ excursion. There are discounts on standard fares available throughout the year to social groups and group organisers. We’re proud that many schools visit us year after year, it’s a truly spectacular trip that can integrate with many aspects of the school curriculum (geology, the Victorians, engineering and the age of steam) and it provides a great day out for students and teachers. Talk to us now for details of great introductory offers for school trip organisers. Call us to make your group booking on +44(0)1286 870 223 or email bookings@snowdonrailway.co.uk. For the latest prices and full information of our Group Steam and Diesel services, please open the relevant brochure below. Gift vouchers are available for both our Traditional Diesel Service and Heritage Steam Experience. Call +44(0)1286 870 223 to order.